On Jan 2, 2019, the Chief Engineer found the Big Bend Groundwater Management District (GMD) No. 5’s proposed update to its management plan to be consistent with state law and policy and thus approved it. The next step required in the GMD Act is a public hearing held by the GMD board on the proposed update. It is expected the GMD Board will consider the matter of setting the hearing date and location at next week’s regular board meeting (see gmd5.org for specifics on their meetings). The Chief Engineer’s transmittal letter with his approval makes several suggestions for the Board to consider in its next update to the Management Program.  The letter and proposed management plan update is at: https://www.agriculture.ks.gov/gmds. Note: the Management Program should not be confused with GMD 5’s LEMA proposal to address the Quivira impairment. See https://www.agriculture.ks.gov/GMD5LEMA for these matters.